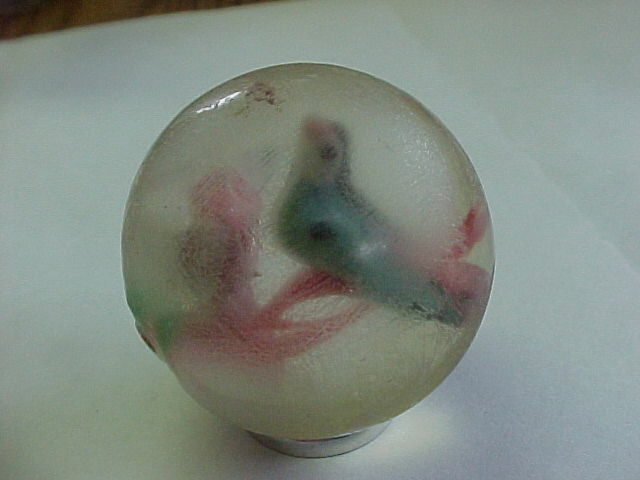 Here is a strange marble I have had for many years, I almost sent it to Leroy when he was polishing but I just couldn't do it, I was afraid to alter it from original condition so it would not be called a fake. 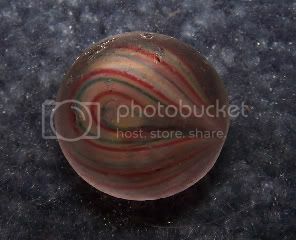 It's the worse marble in my collection condition wise, I wonder what everyone thinks about polishing it? The original pontils are still present even though it is beat to death, what would you do? A. Keep it as is to retain originality? B. polish it to enjoy it so it doesn't look so bad? I would leave it alone. 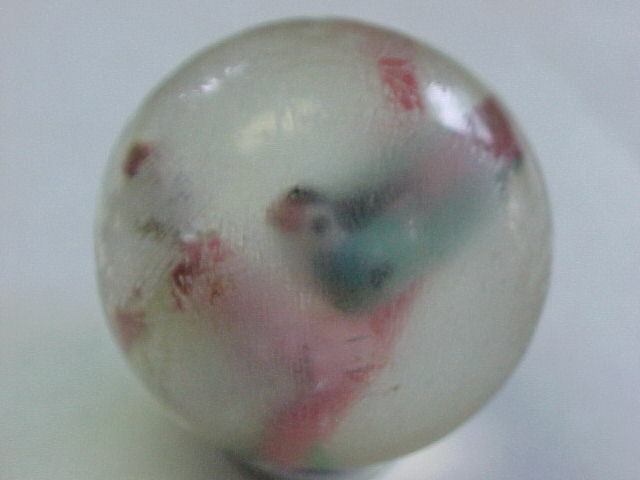 As is, it is an unusual marble. 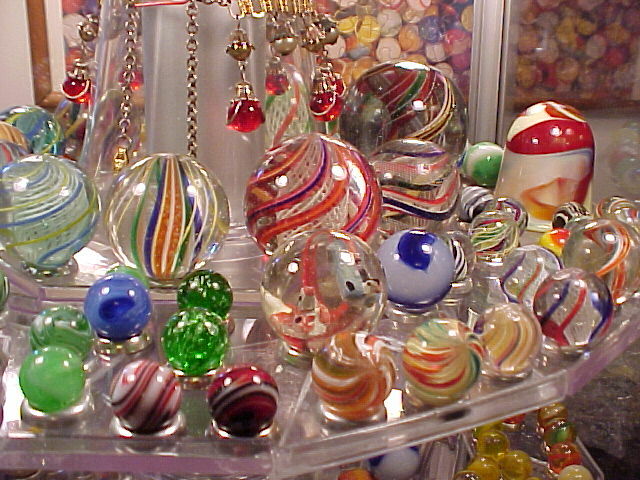 Polished, it becomes a less than original marble and depending on how much glass has to be taken off, just another polished marble. It may be first off cane or last off cane. I wouldn't touch it even if it is beat to death. I always considered it was first off cane. 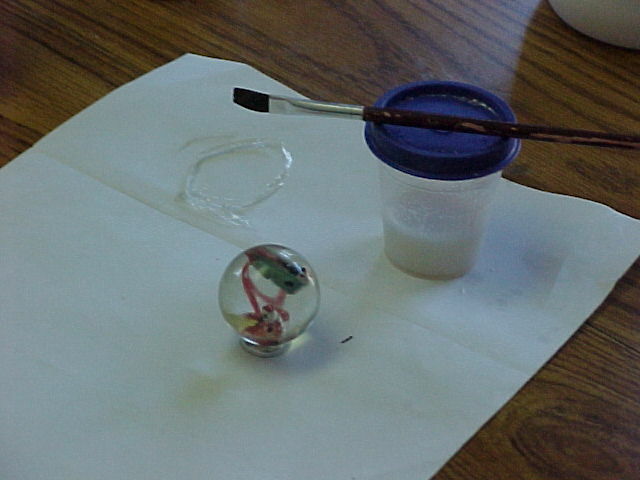 As a marble maker myself I always closed the cane when starting. There is one possibility... it was a segment of pre made cane, re-heated and tooled round? 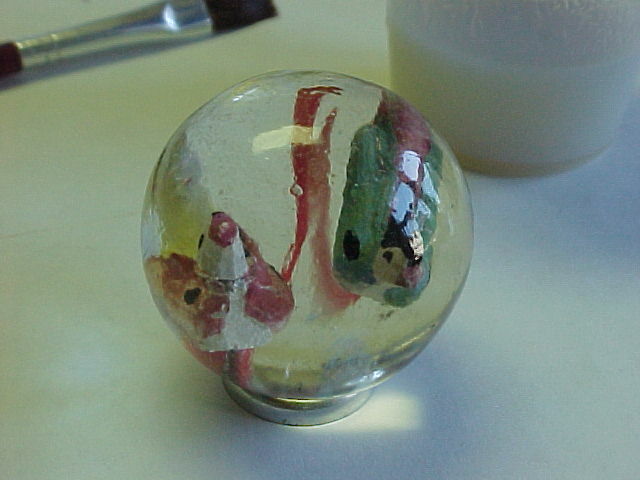 the core colors touch the surface supporting the theory. Previously I said the "pontils" were intact, it actually only bears one pontil opposite the open end. Either way it has little value. I would prefer it polished, so at least you can admire its true beauty. Just my opinion. Try making it look better using a reversible, non-destructive technique. 1. Coating with floor polish, varnish, lip gloss, etc. 2. 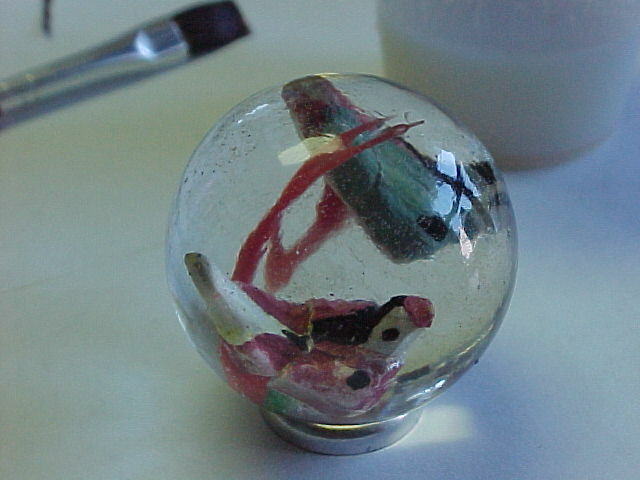 Display it underwater, in a pretty container. With polishing a marble you'll take away it's soul and history, in my opinion you can't speak about an authentic marble any more. it takes a few times as I do let it run as it is a thin as water so very little must be put on , like tying to get the top wet , yes it does take a few hours but it does dry very as because it is so thin . I used this because It was from work but have not done in a few years . Wow, that a cool tip! I will try that! Are there any brands you would suggest or is every water soluble floor wax okay? 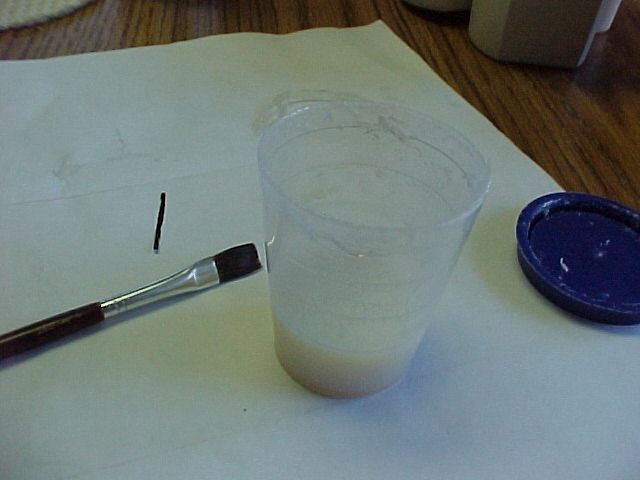 I like the idea of using something water based! I'm still on the fence about this one (these pics are already underwater, so way worse surface condition than yours). 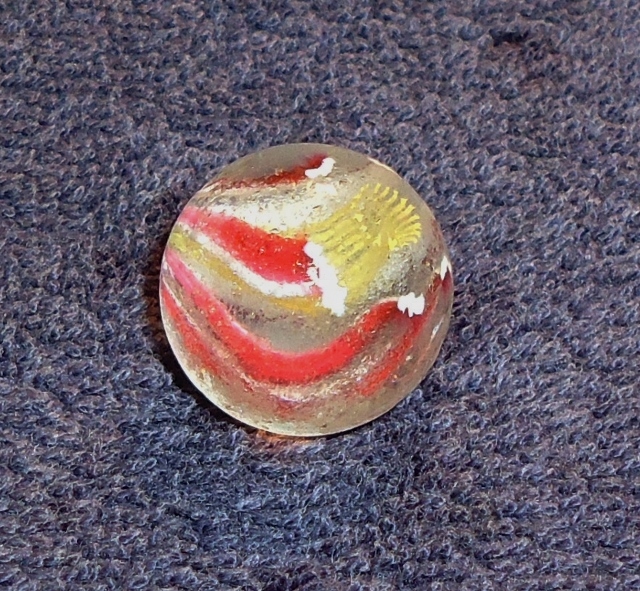 I have seen 4 original vintage cane cut vintage marbles that were actually made from where one cane had been added to another to keep production moving and the marbles consist of two two distinct cane types. 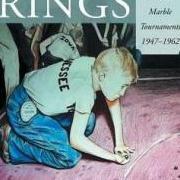 In the day of mass produced cane cut marbles for games and play I wonder if they really considered themselves artists? More like production workers. These things were were made as fast as possible for never ending hour after hour. 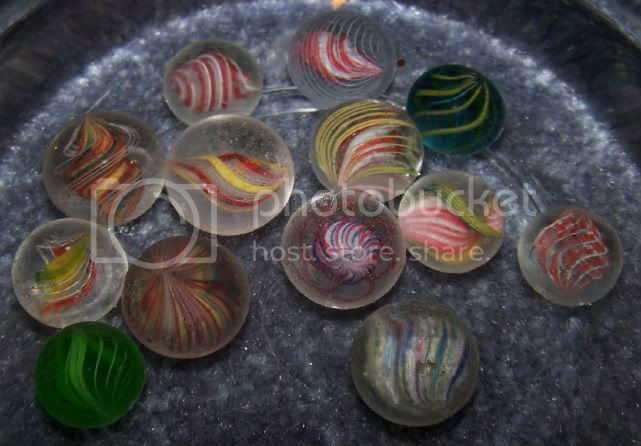 I believe some special effort was put into many of the larger meant for decoration type marbles but not the under an 1 1/2" toys. 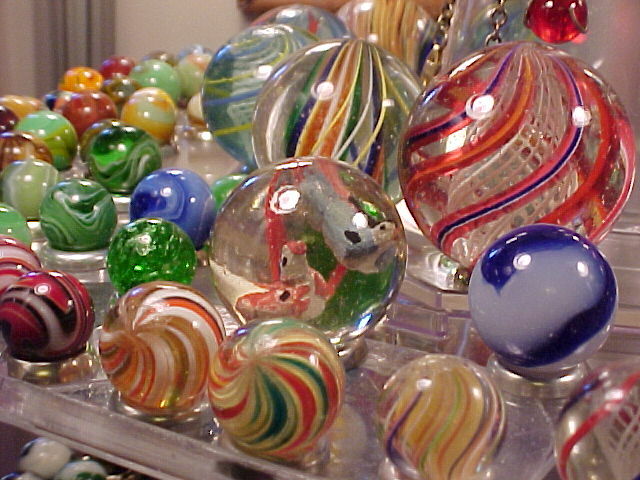 As a lead gaffer most glassworkers take much pride in their works, even in the factories of today like Fenton, the gaffer was the #1 spot, he set the pace and held the responsibility of his crew to produce the wares, I'm sure they felt "special" as they had the highest skills of the team and needed to maintain those skills to stay #1. In the old German marble factories I have always speculated the canes were made by a decorator and passed on to the gaffers for finishing, this would explain the open cores and mixed cane marbles. Typical glass factory team... gatherer, decorator, gaffer and finisher, sometimes the finisher position was another spot depending on the wares made the team could be as much as 6 workers on a single line.